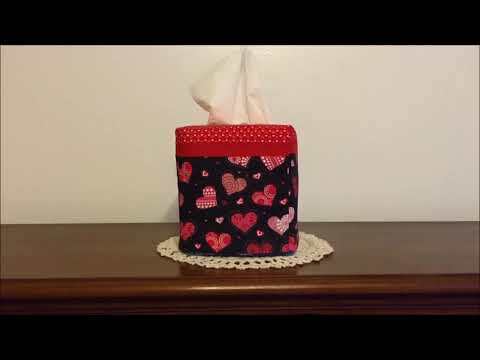 This cute fabric tissue box cover I made as a Valentine’s Day decoration. 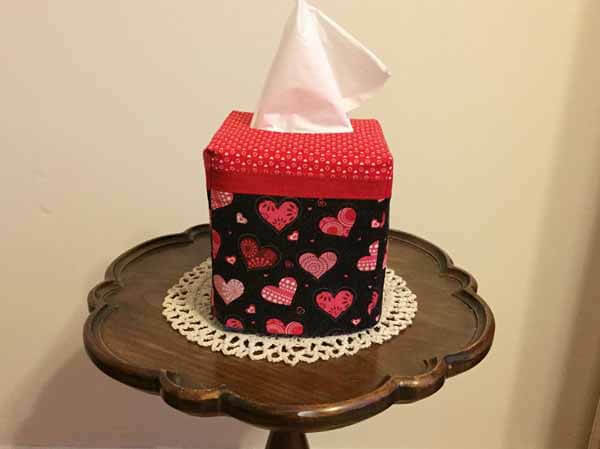 However, the tissue box cover can be made for any occasion or decoration theme. 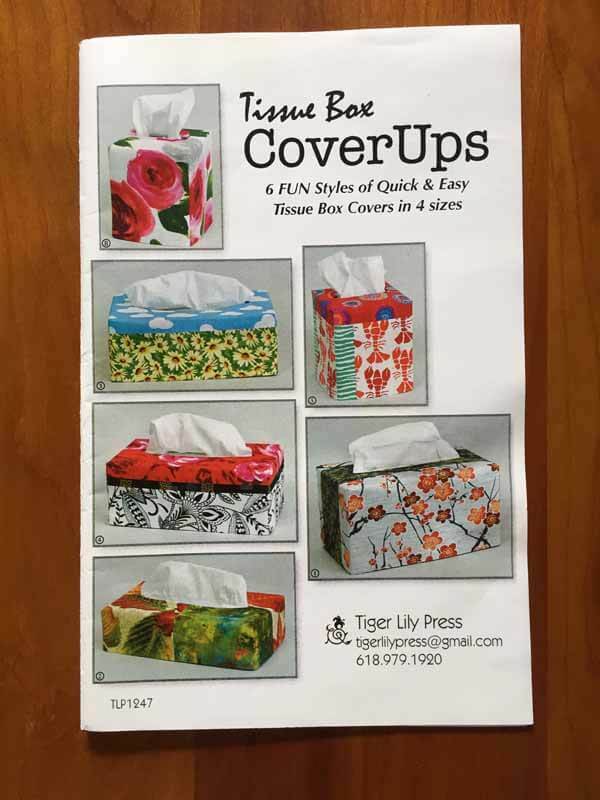 I used a pattern by Tiger Lily Press called "Tissue Box Coverups". 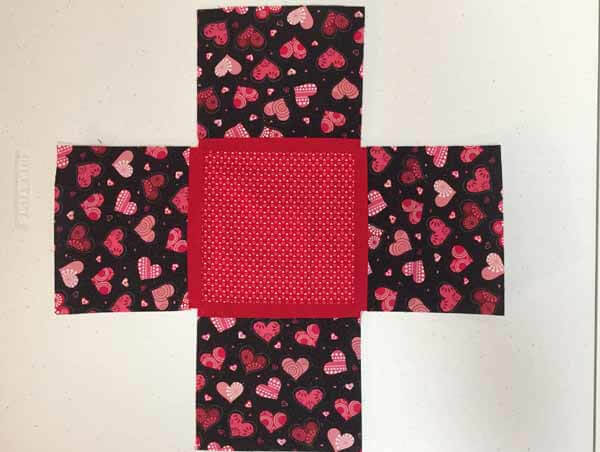 The pattern has 6 fun styles for four sizes of tissue boxes. If you would like to purchase this pattern, you will find a link at the end of the article. When I made the first cover, I must have been confused. The first one was too large for the boutique tissue box because I missed one step in the instructions. So, please read the instructions carefully. 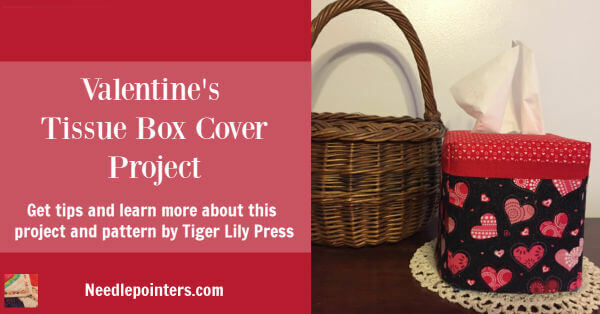 Watch this video to learn about this fabric tissue box and read on for helpful tips on how to make one. Click to watch the Fabric Tissue Box Cover video in Youtube. Read the instructions several times to familiarize yourself with the pattern. 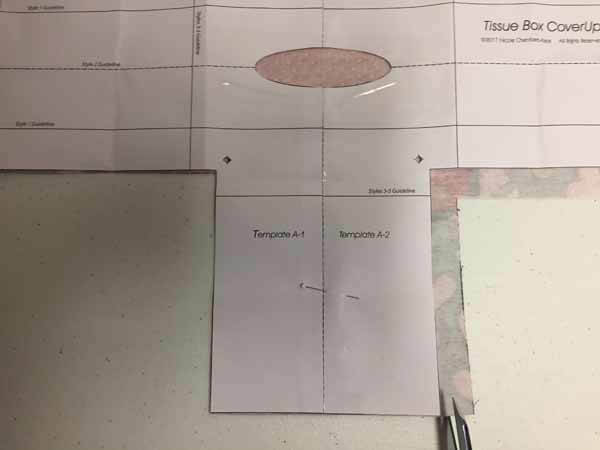 Review the cutting direction chart for the tissue box style and size you want to make. Carefully cut the pieces being mindful if the fabric has a directional or non-directional print. A rotary cutter, mat and ruler makes cutting easy and accurate. Sew the fabric pieces together in the order indicated in the instructions for the style tissue box cover being made using an accurate 1/4" seam. You want to make sure the seams allowance are open and completely flat. To do this use a stick glue or some type of fabric glue. This will also help prevent the raw edges from fraying. 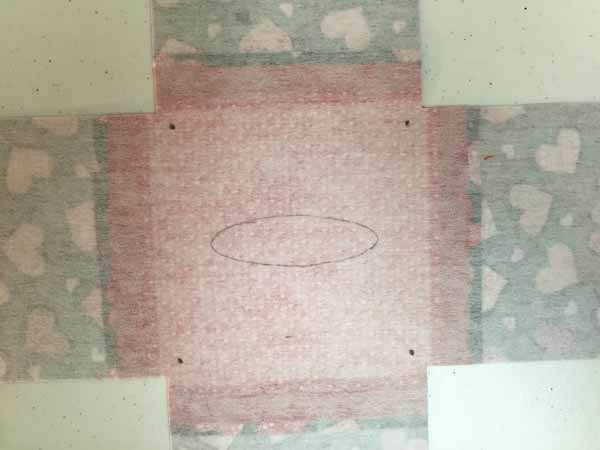 Carefully position and pin the template on the stabilizer side using the template guidelines. 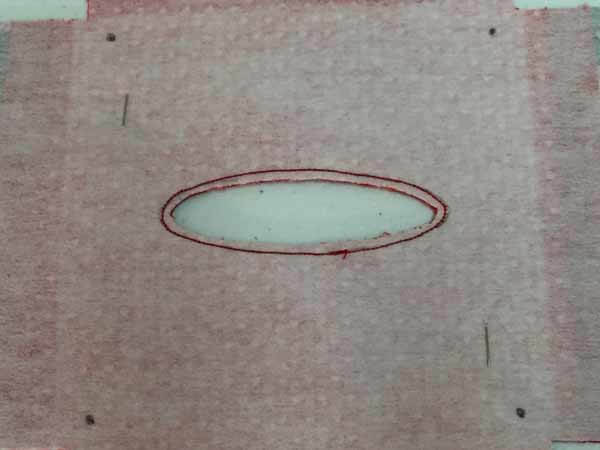 Then cut the fabric around the outer edge of the template. This is where I went wrong with my first tissue box attempt. 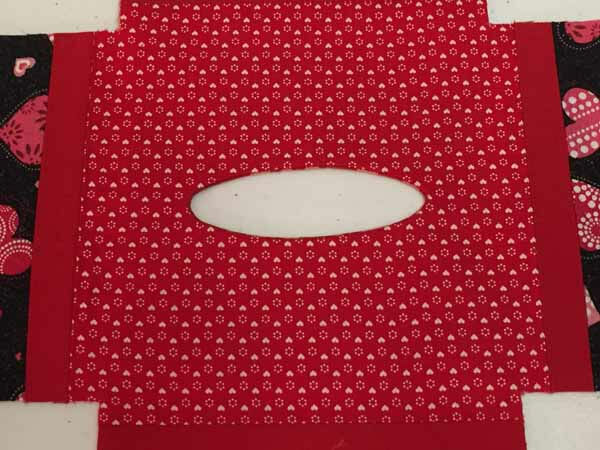 I overlooked the instructions saying to cut the fabric around the template. So, be careful when you get to this step and don't make the same mistake as I did. Trace the center opening and dots onto the stabilizer using a pencil. The pattern instruction said to use an awl or nail to poke a hole though the 4 black dots on the pattern. I found a hole punch more convenient to make the holes. 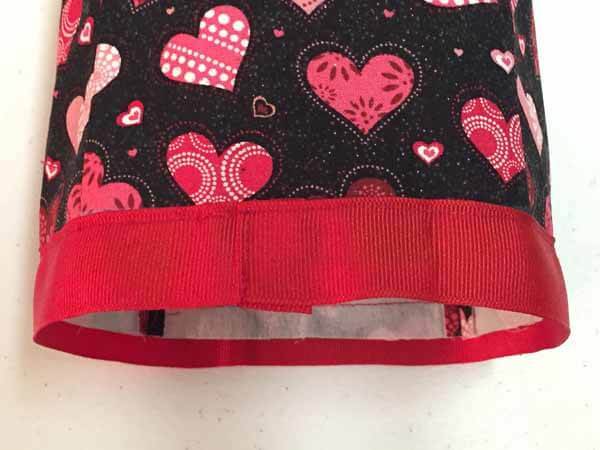 To make the opening, use small stitches, trim the seam allowance to an 1/8" and clip the seam allowance at the curves. If you follow those instructions for making the opening, the results will be perfect. BUT when clipping the curves, do not clip into the stitching. 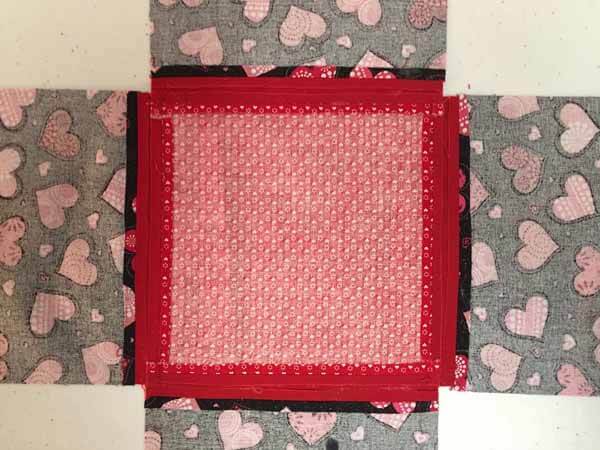 The pattern says to attach grosgrain ribbon to bottom before turning the cover up right side out. 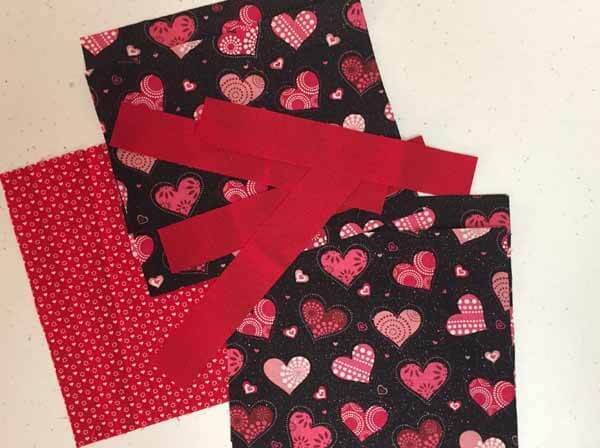 For me, it was more convenient to stitch the ribbon when it was turned right side out. What do you prefer? 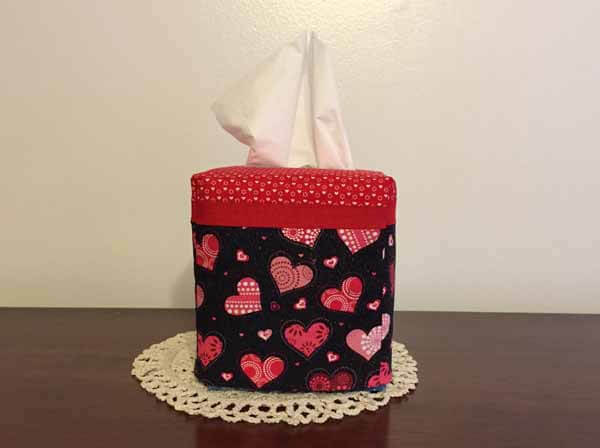 Fabric tissue boxes are fun and quick to make and are nice gift ideas for family and friends. 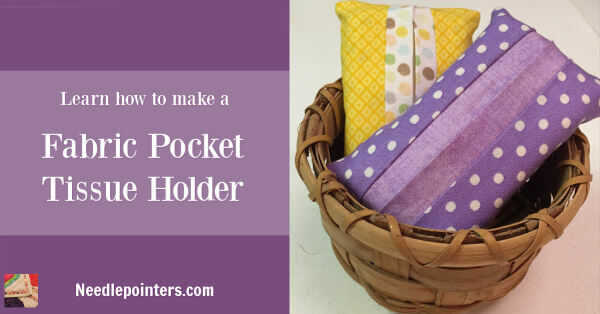 HOW TO MAKE A FABRIC POCKET TISSUE HOLDER is a quick and easy sewing craft that even someone learning to sew can make. 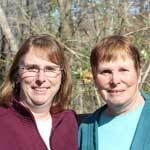 Keep some on hand for last-minute gifts for teachers, Mother’s Day, stocking stuffers, hostess gift, friends or birthdays.